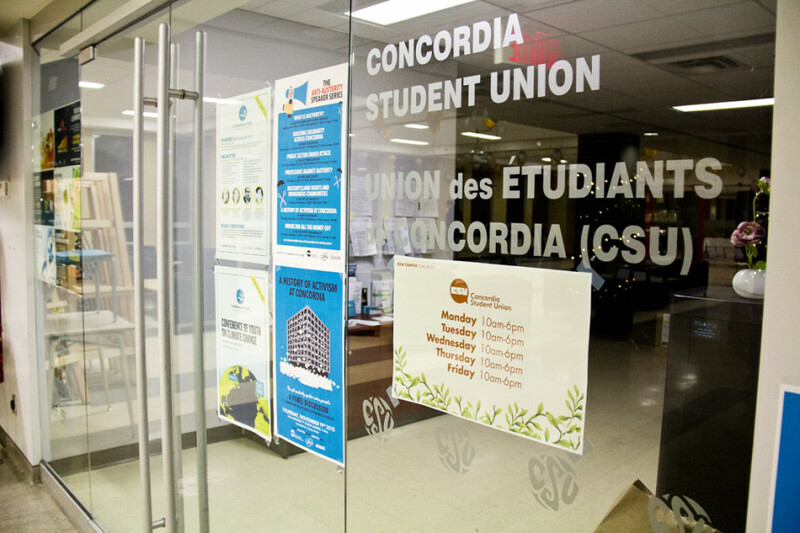 While posters with slogans like “Exposure doesn’t pay the bills,” have been around campus for weeks now, the Concordia Student Union officially launched their yearly campaign, Wages For Interns, at a public event on the downtown campus Tuesday afternoon. The CSU decided on this campaign in June, explained Academic and Advocacy Coordinator Asma Mushtaq in an earlier interview with The Link. That came after their council had passed a motion which demands that the university take charge in finding work placements for students with mandatory internships, and that the union work towards securing pay and ensuring the quality of internships promoted by the school. On their website, the CSU cites their Accessible Education position as motivation for the campaign, which says that the union will work to eliminate financial barriers that limit access to high quality education. Mushtaq explained that some departments in the university require unpaid internships for graduation, but that there is no standardization in terms of what a student will get out of the experience. She said that there are instances when the goals of an employer can differ from the academic goals of the student. Ahmed Badr, the CSU’s external and mobilization affairs coordinator, also previously told The Link that some students, namely those paying international tuition, face additional obstacles when it comes to taking on unpaid work. With the amount they have to pay for their tuition, it can be difficult to find the time to work a job along with an unpaid internship and coursework. The union will also be working with the Comités unitaires sur le travail étudiant and the Association for the Voice of Education in Quebec to carry out the campaign. AVEQ is a provincial student association, composed of three student associations, including the CSU. UQAM graduate and member of CUTE, Camille Tremblay-Fournier explained that CUTE is not only advocating for unpaid internships, but also for a shift in how labour is seen. They say that student labour merits pay, just like any other work. Mushtaq said that they will be surveying students, but the union is still in the planning phases of the campaign. If the time comes, she says they will look to bring the issue to senate, the university’s highest academic decision-making body, but there are no concrete plans as of yet. “That’s going to be something that we’re going to look at as the timeline develops,” she said. With files from Miriam Lafontaine. More on unpaid internships in The Link’s next magazine, out on Nov. 7.